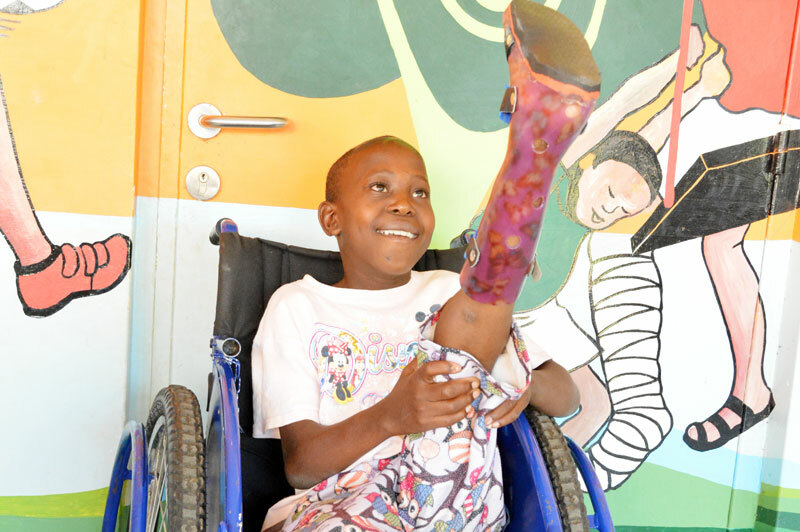 George is a little boy who used to walk painfully on crooked feet… but then a healinghug donor like you came along. Thanks to generous Canadians 2,866 children received life-changing support support through a healinghug. It’s heart-warming that donors like you decided that poverty shouldn’t stand in the way of providing medical care for children like George. To correct his clubfeet, George’s healing journey includes surgeries and a series of castings. It’s uncomfortable and painful, yet George’s bright smile doesn’t waver… because he has hope. “I cannot wait to have straightened feet to be able to play football with my friends,” George says with excitement as the casts come off his left leg. His bright smile becomes even brighter as he sees his leg is straight for the first time. And George isn’t the only one who can’t stop smiling. “I thank all people who help… children like George whose family cannot afford medical intervention. God should give them their heart’s desires,” George’s mother Efrance states while looking adoringly at her son.